Something is going on here. Why does the mobile industry want us, the consumer, to develop its phones for them? At the Wireless Innovations 2008 conference today in Redwood City, Calif., panelists predicted “radical changes to what customers expect and demand,” according to a Dow Jones report. T-Mobile reps said its first Google-powered Android phone, due out in the fourth quarter, will be tailored to the consumer, and at the same time the consumer will tell the carriers what they want their mobile devices to do. This will lead to an “avalanche” of innovation from consumers, panelists said. At least four household-name companies are asking customers and third-party developers for input — Google, Apple, Nokia, and LG — and two of them (Apple and Nokia) are believed to have their acts together in the mobile space. Google recently closed the first round of the Android Developer Challenge, in which Google will reward third-party developers for the best Android-powered applications. Google has set aside $10 million total to be awarded in two rounds. So far it has received 1,788 submissions from 70 countries. Apple is boasting 200,000 developers have downloaded the iPhone software developers kit (SDK), which will be officially available for third-party application development in June. Additionally, venture capital firm Kleiner Perkins has formed the $100 million iFund for the development of iPhone applications. Nokia, the world’s No. 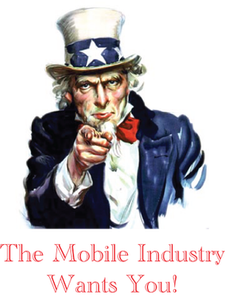 1 handset manufacturer, has invited users to help the company shape products. To make its move into Internet services such as music and gaming, Nokia plans to use its large customer base as consultants. Not to be outdone, LG has formed the “Innovation Challenge”, asking consumers to design their dream phone and win cash. So what’s up? Why all the interest in consumers and third-party developers coming up with new applications for wireless devices? Shouldn’t the handset manufacturers, wireless carriers, and even infrastructure providers already know this? Apparently not, judging by comments made at the wireless conference. Panelists speculated that video distribution, social networking, entertainment, enterprise solutions, and security will be the next “killer app”, just about covering all the possibilities. It’s clear the handset manufacturers, carriers, and infrastructure providers have no idea what consumers will do with next generation handsets and networks. The iPhone has turned the industry upside down. Google’s Android is a wild card, promising all sorts of new innovation but will manufacturers deliver? And who knows what “open” networks from Verizon and AT&T will look like once they’re built in a few years. So the mobile industry is asking us and getting applications cheap from third-party developers. It’s an unprecedented opportunity, but will they listen? What do you think? What do you want to do on the next-generation mobile devices and networks?